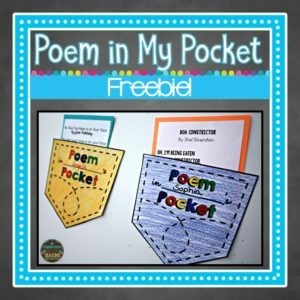 Create a Poem in Your Pocket bulletin board display the free template included in this resource. 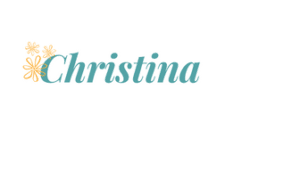 It’s pretty easy…..First, have students decorate a “pocket”. Staple the pocket to the bulletin board. Give them a few days or longer to find a poem that they love. Bring in a copy (they could copy it by hand) and place it in their pocket. 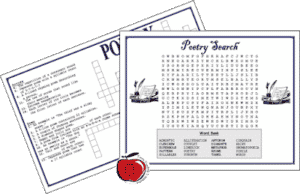 Throughout the month classmates can read each other’s chosen poem.